Parker Solar Probe is the first mission to literally touch the Sun. This NASA mission was successfully launched on August 12, 2018 from Cape Canaveral. 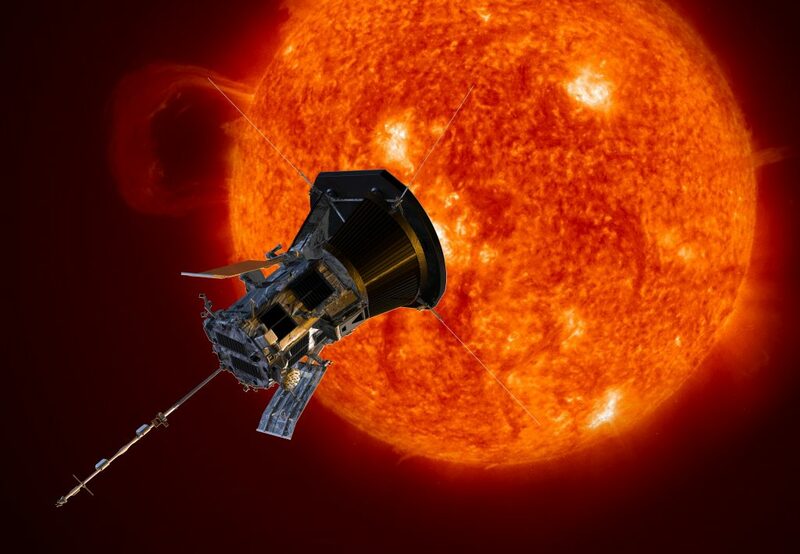 Parker Solar Probe is the first mission to literally touch the Sun. This NASA mission was successfully launched on August 12, 2018 from Cape Canaveral. In a series of 25 passes, Parker Solar Probe will swoop to within 8.8 solar radii of the Sun’s surface. This challenging mission will face radiation and heat like no spacecraft before. Most instruments, including the SCM magnetic field sensor provided by the LPC2E (the only non-US instrument onboard) will be protected from the intense sunlight by a heat shield. Artist’s impression of Parker Solar Probe. Credit image NASA. – Why is solar corona so much hotter than its surface? – How is the solar wind accelerated? 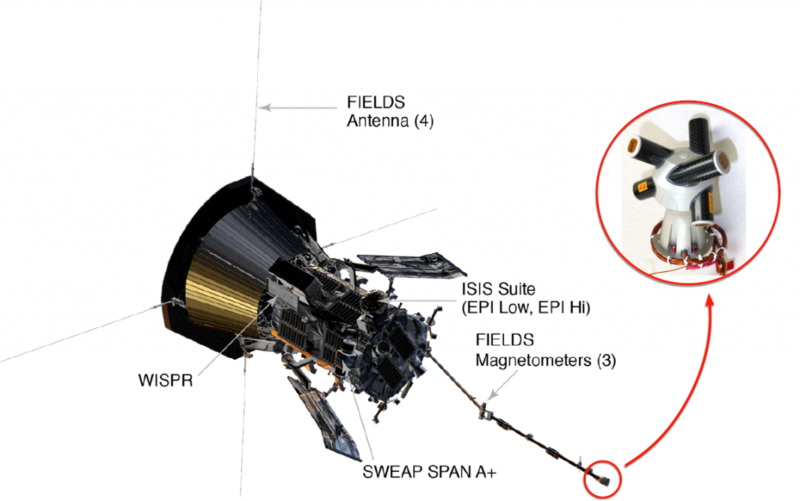 LPC2E provided the tri-axis magnetic search coil (SCM) of Parker Solar Probe. SCM will perform measurements of the magnetic field fluctuations for frequencies ranging from 1 Hz and 1 MHz. The SCM instrument of PSP. Credit NASA and LPC2E.